Ah to say that this is my favourite zine ever is pretty close to the truth. First, it’s for Luz whom I just think is lovely. Second, the Zine Squad enlisted Jaimee who rocks at this sort of thing and third, the subject matter is super close to my heart. This zine came together so well and looks just amazing. My first page is on the right below. 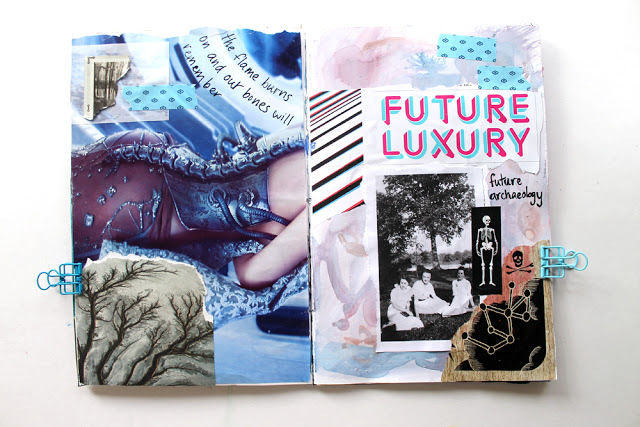 I love how Katie played off the blue in the plates for her page on the left. A couple of years ago, I read this article about ‘future archaeology’. It was a concept that I had a lot difficulty getting my head around at the time. All about documenting the environments that are present now to be better understood in the future. 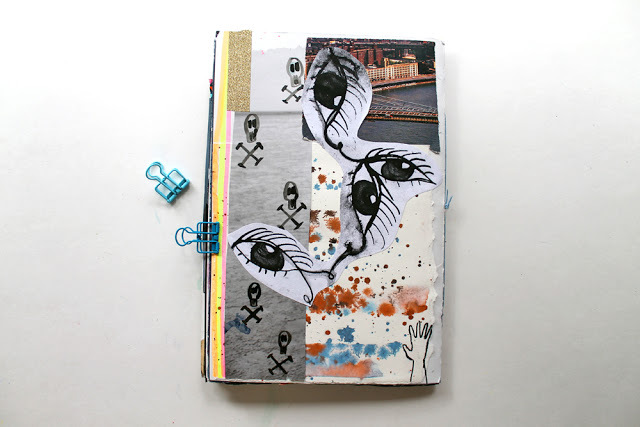 It was a really cool idea and the starting point for the pages below. How we are a part of a continuum that isn’t necessarily linear. Future, past and present all intertwined. How things are changing really fast and we have little time to document the in between. 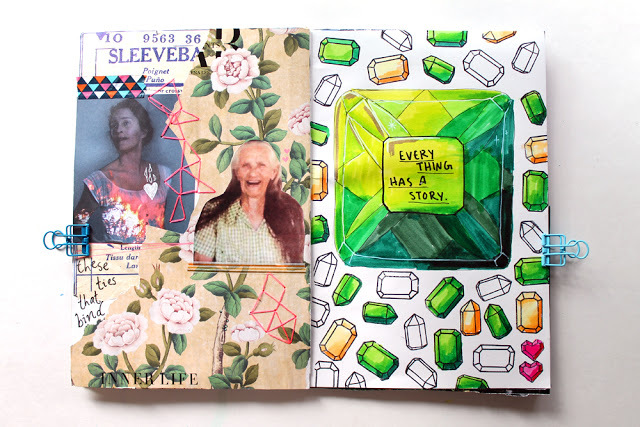 For the left page below, I was inspired by something my father-in-law said before he passed away. That no matter what happened, he felt this flame (he was tapping his heart as he was saying this) and that this flame would carry on. I don’t know who added that lovely laughing woman onto the page! I mean just look at this page below! 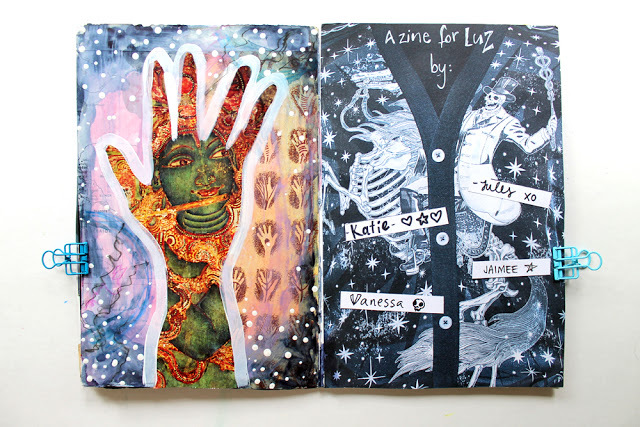 I didn’t make the one on the left, but this zine is just full of these amazing works. I LOVE IT! Please click on the names to check out everyone’s pages: Julia, Katie, Jaimee, Luz. The idea of future archaeology is really neat! 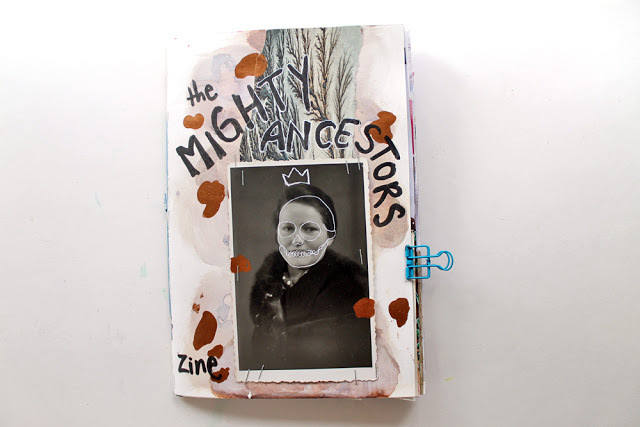 Wasn't this just the best zine ever!?! 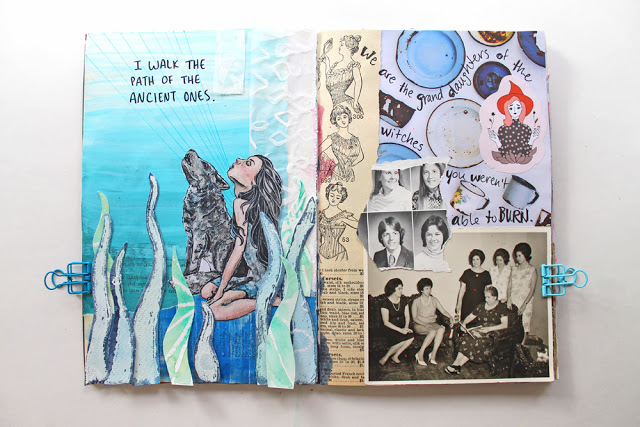 This is quite amazing; well done ladies for another fabulously creative Zine….you are all truly the best of the best! !